"Evil Has Reigned For 100 Years..."
In 1940, London is under attack by German bombers. The Pevensie children, Peter, Susan, Edmund, and Lucy, are evacuated to the country home of Professor Digory Kirk for their own safety. When arriving at the house, the housekeeper tells the children that he is not accustomed to having children around and they must not be disruptive. While playing hide and seek in the attic, Lucy discovers an old wardrobe. Stepping through the wardrobe door, she discovers she is in an enchanted land known as Narnia. She comes upon strange and wonderful woodland creatures who tell her of their plight. The White Queen is trying to conquer all of Narnia. Lucy convinces her siblings to come through the wardrobe and explore this parallel universe. Once they enter the land, they are seen as Narnia’s protectors and champions. The forest creatures see Peter as the leader of their army, and they wage war for control of Narnia. Peter fights alongside of Aslan, a magical lion who is the protector of all the woodland creatures. Aslan’s wisdom is not wasted on the children. The children become Kings and Queens of Narnia. Years later, chasing a white stag through the forests of Narnia, Peter, Lucy, Edmund and Susan run through the trees and into a jumble of coats and fall out of the wardrobe. They are back home in London. Professor Kirk enters the room and asks what they are doing? Peter states that the professor wouldn’t believe them if they told him. The professor smiles and tells the children that he has been to Narnia, too. Lucy attempts to use the wardrobe to get back to Narnia, but it doesn’t work. The professor tells Lucy that he has been trying to get back for many years, and one day they will return, but it will be when they least expect it. 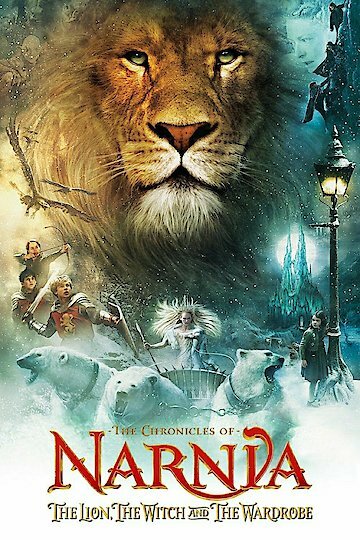 The Chronicles of Narnia: The Lion, the Witch and the Wardrobe is currently available to watch and stream, download, buy on demand at Amazon, Vudu, Google Play, FandangoNow, iTunes, YouTube VOD online.